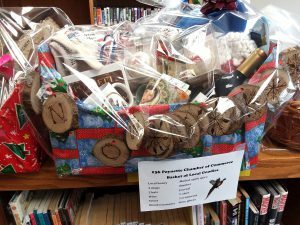 The Poynette Chamber of Commerce has a “Poynette Naturally” gift basket as part of the Poynette Library’s Silent Auction. There are lots and lots and lots of baskets to entice everyone. Any basket would make a great holiday gift. Stop by before it’s too late, Dec 8, 2018.